. No motive has been established and no demands have been made known, and it is not yet clear where the plane was taken, said the official, who spoke on condition of anonymity because he was not authorized to brief the media. The official said that hijacking was no longer a theory. "It is conclusive," he said. He said evidence that led to the conclusion were signs that the plane's communications were switched off deliberately, data about the flight path and indications the plane was steered in a way to avoid detection by radar. The Boeing 777's communication with the ground was severed just under one hour into a flight March 8 from Kuala Lumpur to Beijing. Malaysian officials previously have said radar data suggest it may have turned back toward and crossed over the Malaysian peninsula after setting out on a northeastern path toward the Chinese capital. Earlier, an American official told The Associated Press that investigators are examining the possibility of "human intervention" in the plane's disappearance, adding it may have been "an act of piracy." While other theories are still being examined, the U.S. official said key evidence suggesting human intervention is that contact with the Boeing 777's transponder stopped about a dozen minutes before a messaging system on the jet quit. Such a gap would be unlikely in the case of an in-flight catastrophe. The Malaysian official said only a skilled aviator could navigate the plane the way it was flown after its last confirmed location over the South China Sea. The official said it had been established with a "more than 50 percent" degree of certainty that military radar had picked up the missing plane after it dropped off civilian radar. Why anyone would want to do this is unclear. Malaysian authorities and others will be urgently investigating the backgrounds of the two pilots and 10 crew members, as well the 227 passengers on board. Some experts have said that pilot suicide may be the most likely explanation for the disappearance, as was suspected in a SilkAir crash during a flight from Singapore to Jakarta in 1997 and an EgyptAir flight in 1999. A massive international search effort began initially in the South China Sea where the plane's transponders stopped transmitting. It has since been expanded onto the other side of the Malay peninsula up into the Andaman Sea and into the Indian Ocean. 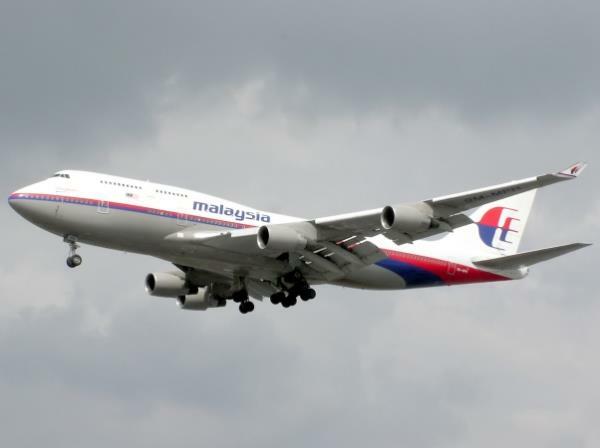 The plane had enough fuel to fly for at least five hours after its last know location, meaning a vast swath of South and Southeast Asia would be within its reach. Investigators are analysing radar and satellite data from around the region to try and pinpoint its final location, something that will be vital to hopes of finding the plane, and answering the mystery of what happened to it.